I am absolutely, positively, addicted to podcasts. I am addicted to podcasts so much that I've stopped listening to the radio during my commute all-together...and I love it! I am learning a ton, and I am happier listening to uplifting and inspirational stories about people in the world doing awesome things. More specifically, I love learning about women who are doing awesome things. Women who are conquering their fears. Women who are laying it all out there. Women who are just like me. It gives me all the feels. 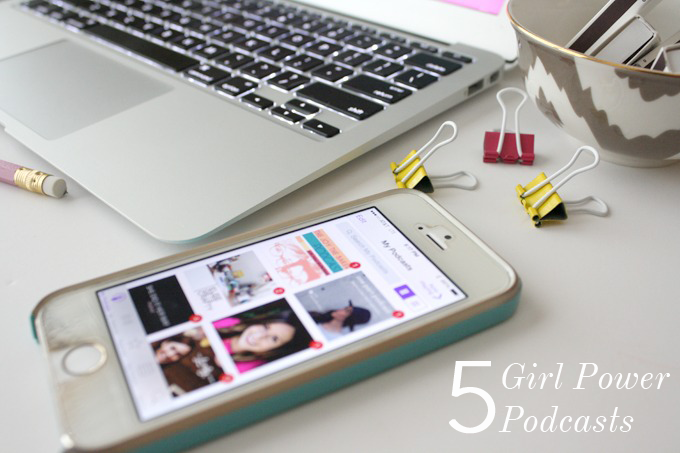 Today I am sharing with you 5 girl power podcasts: podcasts by women that will inspire you to locate your inner (or outer) girl power. You'll get lost in the language and won't even realize how bad traffic is on your way home, and then when you get there, you'll want to conquer the world. 1. The Lively Show: I've talked about my love for the Lively Show before, and after a few months of a break, Jess is back! Jess speaks specifically about living intentionally whether that is through your work or your relationships, and her outlook on life has really inspired me to think differently about my own path. This podcast is a good one and has over 60 episodes for you to listen to. I started working my way backward, so I am on episode 11 and once I get to #1, I'll go back and listen to the most recent episodes. I adore Jess and the mission she's on. I can actually say this podcast is changing my life. Seriously. 2. One Part Podcast: The One Part Podcast is one that was recommended through another podcast and I'm loving it so far. Jessica focuses on plant-based diets and while I am not a plant-based eater (#carnivore), I do find the lifestyle interesting. Plus, she interviews some of the most fascinating foodies out there! Jessica's story is part of what makes me want to learn more about her and her podcasts. I just love learning about people! 3. 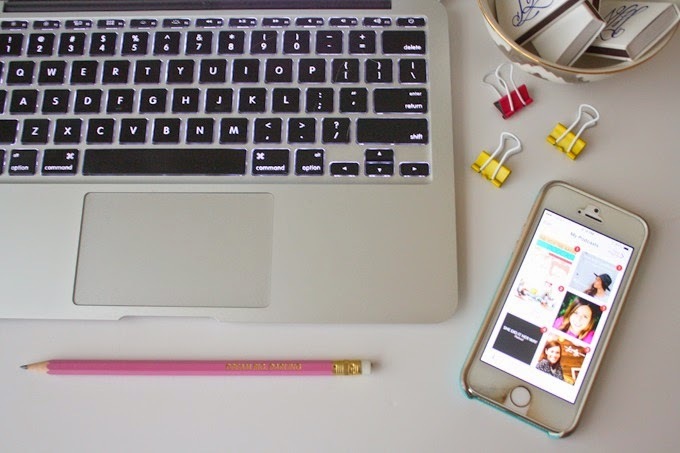 Elise Gets Crafty: Elise's podcasts discuss small business and creatives. I've only listened to a few of these, but I've really enjoyed them so far! I like hearing the real people behind their brands as well as how they balance everything. 4. Influential Gal: Influential Gal is a new to the scene podcast but with oodles of fun and potential. I'm loving the focus on creative women who are making a difference in their careers and communities. Lauren also has a fabulous blog with business tips and real talk that I'm consistently inspired by. 5. She Did it Her Way: This podcast is also entrepreneur based (sensing a theme here?! ), and again focuses on women doing it their own way. I love that concept! In a world in which entrepreneurship seems glamorous, I love hearing how these women are forging their own paths and sharing the pitfalls and the successes along the way. Are you on the podcast train too? Tell me your favs in the comments! Bookmaking this post (which I never do, but this is just TOO good.) I'm not hip to the podcast game yet, which is a shame because this clearly seems like something I would really enjoy. I'm going to start with The Lively Show.